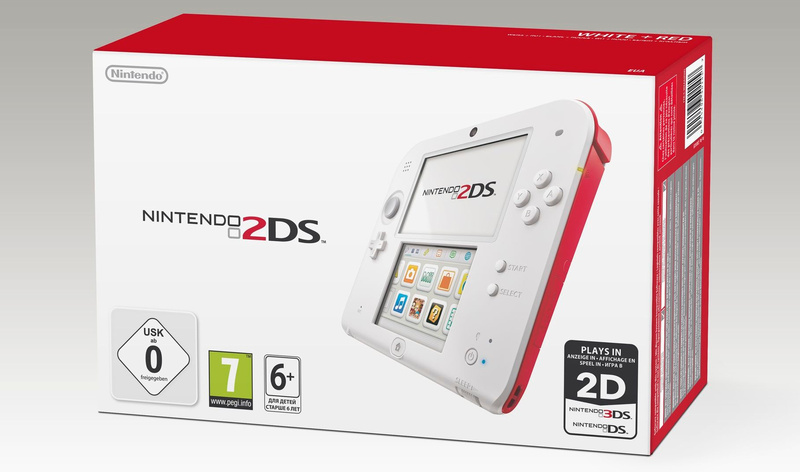 NL: Nintendo’s new 2DS console is launching on the same day as Pokémon X & Y, was this always planned? NL: That is rather handy! Let’s talk about new Pokémon. When designing new Pokémon, do you take into consideration what they would look like in the real world or let physics influence your designs? Hironobu Yoshida: Every time we create a new Pokémon we always focus on whether it would make sense for them to exist in their environment. One time I remember I was creating a rabbit based Pokémon with a flower on its nose and someone said to me “Why are you doing that? It doesn't make any sense!” so now I always now think about Pokémon that would make sense in the context of their environment. Junichi Masuda: Of course Pokémon don't exist in real life, they come from our imaginations [laughs] but we want to make creatures that are believable enough that could exist in real life! There needs to be a reason behind the element that’s attached to it. For example, does a Pokémon need a mouth? Does it eat? How does it breathe? We always think about all these different aspects when creating new Pokémon. NL: Speaking of new Pokémon, the new Fairy type is the first new Pokémon type addition since Pokémon Gold & Silver. Was it challenging creating and inserting a new type into the game? Junichi Masuda: Oh yes! The most difficult thing about adding a new type of Pokémon is that it completely changes the balance of Pokémon battles. We have a team over at Game Freak that focuses solely on getting this balance right, so when adding fairy type they were looking at each individual Pokémon and thinking of all the different combinations of moves in battle and how the balance of the fight would change because of that. They even hosted internal competitions at Game Freak to battle amongst each other and check that everything was perfect! [laughs] Getting that balance right was really important, but also very difficult. The most difficult thing about adding a new type of Pokémon is that it completely changes the balance of Pokémon battles. NL: We're really looking forward to training up some new Fairy type Pokémon, and taking down those pesky Dragon types! Moving on to Mega Evolutions, why did you decide to include a new form of temporary evolution in X and Y? Are they significant to the storyline? 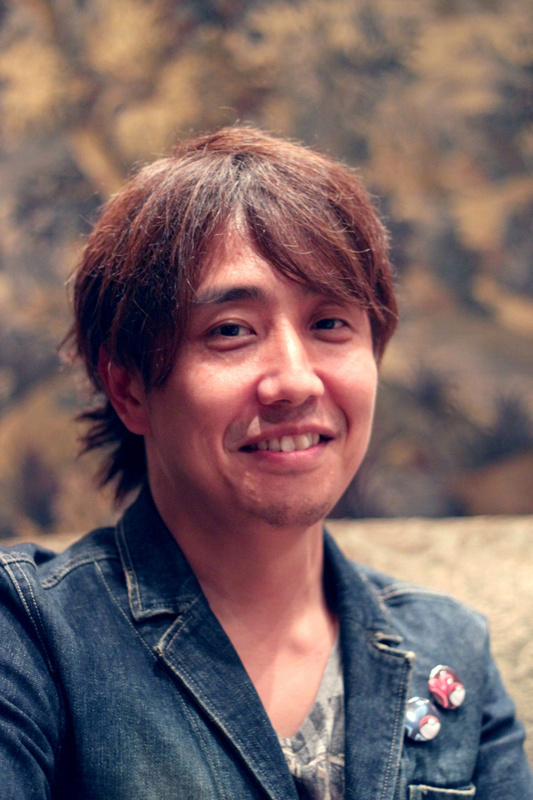 Junichi Masuda: So really there were three key themes for the game this time around, I mentioned 'beauty' as one, one of the others is the bonds between people and Pokémon which is represented in the Pokémon Amie mode, and the third is evolution. Evolution is one of the key defining characteristics of Pokémon games and we wanted to bring it to the next level and really generate a surprise when people see their Pokémon evolve into a new form. We didn't just want to add another evolution level that was permanent and just makes the Pokémon more powerful, and so by making Mega Evolutions a temporary experience just for battles it adds a new dynamic to the battle. If you want to Mega Evolve your Pokémon can't hold any other items, so you have to really think about your strategy. NL: It's amazing to see some of our old favourite Generation I Pokémon in a new form. Mega Kangaskhan and baby Kangaskahn are adorable! In Pokemon X & Y there are also two Mega forms of Mewtwo, Mega Mewtwo X and Mega Mewtwo Y. Was there a reason why you chose to create two special, version exclusive forms of this particular Pokemon? Junichi Masuda: Mewtwo is a Pokémon for which GameFreak has a special fondness. 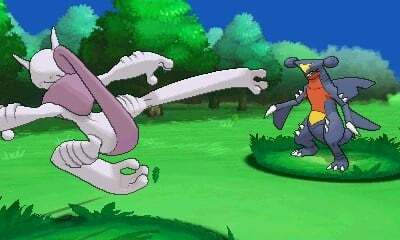 We came up with Mega Mewtwo X and Y because we thought that by having a two different types of Mewtwo, Pokémon battles would become more strategic and at the same time it would encourage trading. We think it will create a nice surprise to the fans. NL: We noticed when playing Pokémon X and Y that older Pokémon from previous generations are everywhere in the Kalos region, and pop up as often as newer Pokémon. What influenced the decision to give the player one of the original Pokémon Red and Green starters as well as Kalos starter Pokémon? Are you looking to entice fans of the original games who may not have tried the newer Pokémon titles? Junichi Masuda: One of the themes in Pokémon X and Y is evolution and one of the player’s missions is to discover more about Mega Evolution. Initially we didn’t come up with the idea of being given Pokémon from Pokémon Red and Green Version, but we had to think of a way to obtain the three Generation I starter Pokémon in order to get the users to experience Mega Evolution of Bulbasaur, Charmander and Squirtle. This led to the idea that they are given as a present by Professor Sycamore. We’d like a lot of people to play Pokémon X and Y - new fans as well as returning players who played Pokémon in the past. NL: The Pokémon Bank and Poké Transporter sound like great apps, and something series fans have wanted for a long time now. Could you give us a detailed explanation of how the accounts work? For example, will siblings or friends be able to share one Pokémon bank account so that they could trade Pokémon without both having to be available at the same time? Or, will you be able to have a second account if you're crazy enough to fill it with 3,000 Pokémon? Junichi Masuda: You can now transfer Pokémon from Pokémon Black and White Version and Pokémon Black 2 and White 2 by using the Pokémon Bank and Poké Transporter and you can store as many as 3,000 Pokémon in the Pokémon Bank. Because the Pokémon Bank is linked to each Nintendo 3DS console, it is possible to download your Pokémon stored in your Pokémon Bank and move it to your friend’s Pokémon X and Pokémon Y by inserting your friend’s Pokémon X and PokémonY cartridge into your Nintendo 3DS. The European release of Pokémon Bank is December 27th, but we will be announcing more details and mechanisms at a later date. NL: Fantastic, I'm sure fans will be pleased to hear that they can access their friend's Pokémon Bank account easily for trading. 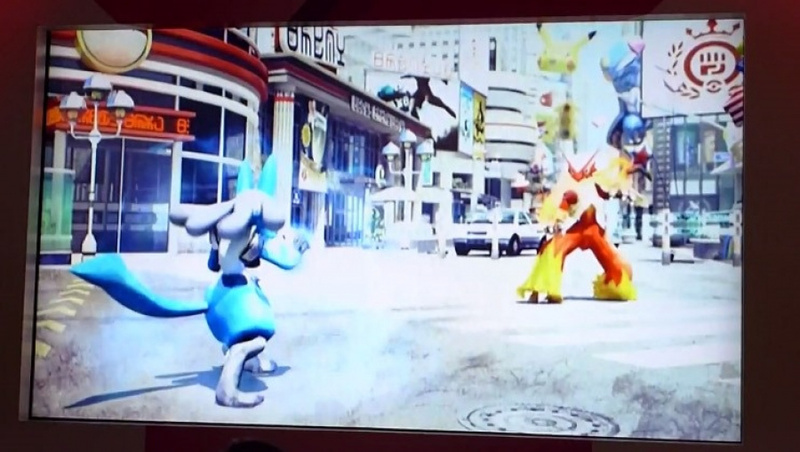 One final question: we’ve spotted a certain video on the internet from an event in Japan showing a short clip of Lucario fighting Blaziken on a street scene, which looks suspiciously like Wii U graphics... Was this a teaser for a true Pokémon title for the Wii U? NL: Oh go on! Don't dash our dreams! NL: It sure looked interesting whatever it was! Thank you very much for your time, it was lovely to speak to the both of you. Our thanks to Nintendo UK for arranging this interview and event. I said it before and I'll say it again... My hype for this game is monstrous. Junichi Masuda: This time with the move to full 3D you can freely manipulate the camera angles, which you couldn’t do before. Really? I was under the impression that movement of the camera wasn't possible. Not calling this more misdirection like with no stereoscopic 3D in the overworld, but I haven't seen any video that demonstrated the ability to freely move the camera in the overworld. In addition to that, usually the camera is controlled with the 2nd joystick Nintendo insists the 3DS doesn't need. Monster Hunter had to add an awkward touch screen joystick to compensate. How is the camera movement controlled? @DarkKirby Just like with Kingdom Hearts 3D.... I bet the gamer can control the camera by pressing/holding the L and R button. They probably mean fixed dinamic camera movements, not free control of the camera. @DarkKirby He may mean from a development viewpoint, in that they can move the camera, perhaps to give you a better view etc. @Morphtorok @DarkKirby Tom just beat me to it, but was just about to say that I think Mr Masuda meant in development terms they could manipulate the camera in order to frame each screen, rather than simply having a top-down view like in previous Pokemon games. Between Pokémon and Windwaker, October's gonne be quite the month for my gaming. And on top of things, it's gonna be my vacation month for the year. I can hardly wait. The Pokemon Bank is system based? What happens if I buy a new system or lose mine? "Of course Pokémon don't exist in real life, they come from our imaginations [laughs] but we want to make creatures that are believable enough that could exist in real life!" I think they meant "they" could move the camera freely when developing. Great Interview. It was nice to read it all. The X and Y axis! I KNEW IT! Everyone blabbing about gender and DNA, I knew what was really going on. I imagine they have something in mind for that, the Pokewalker was setup so you could recover Pokemon if the batteries died so they'll probably have something similar for recovering Pokemon. The Pokebank will likely be tied to the global link and your trainer ID too, so they could use that. This was an interesting interview, I certainly wasn't expecting the theme for X&Y to be what it is. I guess it makes sense though since black and white where truth and ideals. @Sam_Loser2 the japanese boxart has a DNA pattern so it HAS to have something to do with it that is related to Megaevolutions... But the focus is on the axes. That's what it is. I've dabbled with Pokemon since the original games but the 3D aspect of this game has just got me so excited! I can't wait to play on release day. @Haxonberik I would think they will use accounts...and i haope u dont lose ur 3ds. I preordered Pokemon Y and the Red Pokemon 3DS XL! I can't wait! I'm so disappointed about the non-3D overworld. I can understand that if only 1 can be 3D, then it has to be battles (ugh) but it's still a stinker. I will get the game reduced due to me trading in Animal Crossing, but still. At least our eyes get a rest and it did allow for more detail.